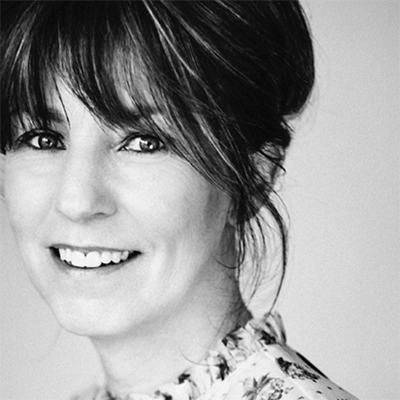 Weleda skincare will be used exclusively backstage by makeup designer Attracta Courtney and her team of 7 makeup artists who will be prepping 20 models for the two shows. For Deborah Milner, makeup designer Attracta Courtney has created a look with “an ultra-feminine goddess feel – radiant, glowing skin with a tinted lip balm to complement soft, shimmering colour on the eyes”. 1. What inspired you to go into make-up artistry, how long have you worked in the industry, were you always interested in makeup? I trained at the Glauca Rossi school of professional makeup artistry in London. Thereafter, for a few seasons, I assisted world renowned Pat McGarth, Val Garland and Lisa Eldridge to name a few, on the haute couture and prêt-à-porter fashion shows in London, Milan and Paris. I have always loved beauty and fashion; working as a make-up artist allows me to pursue many of my passions. To work with teams who are dedicated to creating exquisitely beautiful imagery is one of the greatest careers to be part of. I believe that beauty is essential and enriching to our lives. I am deeply grateful that I have many opportunities to create and work with amazing teams of people, in the pursuit of capturing beautiful moments in the history of beauty and fashion. 2. Do you work mainly in fashion or do you do other projects (eg red carpet, bridal beauty)? What do you love most? I trained as a fashion/beauty make-up artist and have only ever worked on leading international glossy magazines, catwalk shows and advertising for fashion and beauty brands. 3. What are the differences/pressures working on a live show? I really enjoy working on the catwalk shows. I love being part of the creative backstage team. We all bring our best expertise together to put on a beautiful show. When the models are ready to walk out on stage, it is the most wonderful energy of anticipation to be part of. So much work goes into the creative planning and when it all comes together it is magical to witness. 4. Have you built a reputation for creating any particular kind of look or working in a certain way? My signature style is fresh, feminine and always beautiful. I always work with the natural, unique beauty of the model and then may add tones of colour. When I apply colourful makeup it is always done in a way to empower the model in her style and confidence. 5. What has influenced this look you are creating for the Hope Gala, how will your makeup look compliment the pieces from the two designers? The Mother of Pearl designs are playfully feminine with an understated luxury aesthetic. To compliment their designs, I wanted the makeup to look ethereally beautiful - a perfected blush-toned natural beauty offset by fresh, healthy skin. Deborah Milner’s designs are inspired from Regenerating the Reef – the dresses were designed to bring attention to the plight of the coral reef. The makeup for this collection has an ultra-feminine goddess feel – radiant, glowing skin with a tinted lip balm to complement soft, shimmering gold colours on the eyelids. 6. Which Weleda products will you be using to achieve the look? The Almond Soothing Cleansing Lotion as it is super effective as a makeup cleanser yet gentle on the skin. Wild Rose Smoothing Day Cream to moisturise the skin and the Wild Rose Smoothing Eye Cream to treat the delicate area around the eyes. 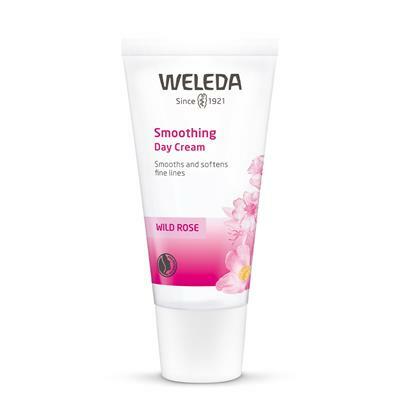 After this, I may apply a thin layer of Weleda’s Skin Food to get that enhanced surge of hydration, as I want the skin to look beautifully fresh, glowing and healthy. 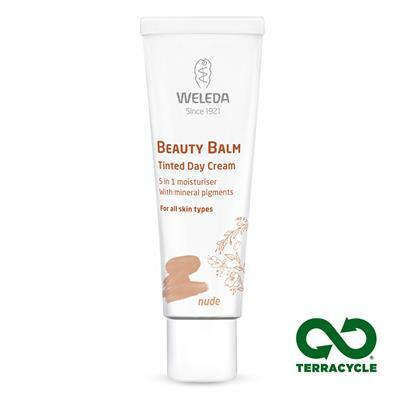 I will use some of Weleda’s Beauty Balm Tinted Day Cream to neutralise any redness that may occur in the T zone area – this cream is great as it leaves a ‘barely there’ natural coverage. 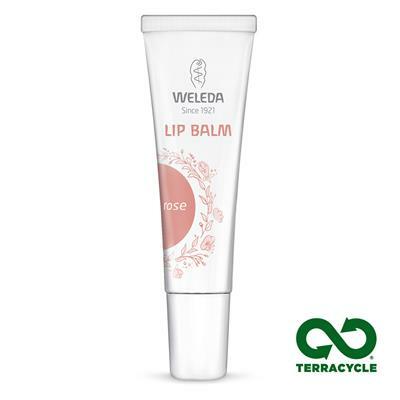 Weleda’s Tinted Lip Balm in Rose is one of my favourite balms to use to prep lips and it leaves a gentle hint of colour. 7. How important is sustainability in the world of fashion and beauty, which is notoriously superficial and transitory? Do you think attitudes are changing? I agreed to work with Fashion for Conservation on the HOPE GALA as they wanted to showcase designers and beauty brands that are already pioneering and committed to sustainability. Weleda was my 1st choice! I do believe attitudes are already changing slowly, however it will take time. With more awareness, I believe we collectively as consumers will make better fashion and beauty choices. The discerning public is now living in the era of accessible information – which allows each of us to become more responsible with our buying choices. 8. What is your personal ethos about beauty and your approach to your own makeup? Do you have any personal Weleda favourites? I am a big advocate of “Slow Beauty”: slowing down to appreciate all that is beautiful about life, the people whom I meet and the beauty of nature. I prefer quality to quantity and I am keen to advocate that less is more when it comes to your skincare routine. I feel there are far too many beauty products and choices available at this moment in time. I am very simple in my own beauty routine, only using products that are truly beneficial to my skin, health and the environment. Weleda Skin Food is one of my hero products on and off set!